Preschool West Palm Beach:A Play-Centered Curriculum Gets Results! Welcome back to the blog of Learning Wonderland Preschool! 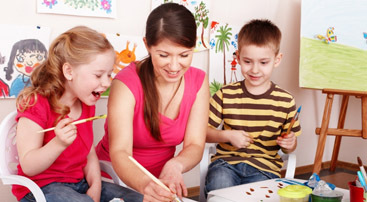 We are a high-quality education-centered preschool in West Palm Beach. We accept children from 12 months to four years old and offer a pre-Kindergarten and after-school care for children from five to 10 years old. This week we are going to take a close look at our curriculum. This is a topic we are sure to return to many times since it is the core of our teaching philosophy, and because it offers so many fun things to talk about. The official name of the curriculum we use is Creative Curriculum®. This curriculum was conceived back in the 70s, with the first edition being published in 1978. Since then, the curriculum has been expanded upon and now offers teachers structure and daily supports that are backed up by a solid, research-based philosophy. We love this curriculum for it’s rich Daily Resources® guide that has something for every skill level and reaches out to embrace diversity. Its ability to offer individualized lessons within a wider lesson plan is great for teaching children wherever they are on their developmental path. This flexibility, along with great structure, makes it an invaluable resource for teachers. 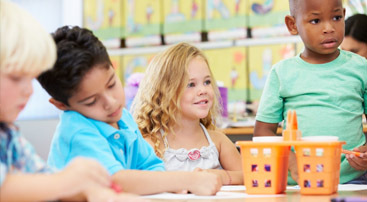 Anyone who has spent ten minutes in a room with a gaggle of toddlers or preschoolers can tell you that it is important to provide structure or the room will descend into “cat herding” chaos, and this curriculum is an invaluable tool for maintaining order, while also creating a fun environment for children. One thing we love about this curriculum is its emphasis on the power of play. We know that when children play they engage in what is known as active learning. This type of learning is distinguished by a child creating their understanding of the world. Of course, this is guided by a teacher to make sure they are also learning essential skills such as counting and their letters, but when children create their understanding of a subject, they are using different parts of their brain than when they are spoon-fed information. Everyone knows that kids love to dress up and inhabit different roles in their free play. Whether it is cops and robbers, bank teller and customer, or teacher and students, they are constructing an understanding of how the grown-up world functions, how people interact, and it gives them a chance to push the boundaries of their understanding and to ask questions. When they are playing together, children teach each other how to treat one another, and they will readily correct each other when it comes to shaping their collective understanding of the world. Whether it is with Play-doh or wooden blocks, kids can spend hours making, destroying, and remaking structures and 3D creations. When children are engaged in building play, they are using many parts of their brains. They are developing spatial reasoning, cause and effect, as well as intuitive aspects of design. They are also developing hand-eye coordination and fine motor skills. 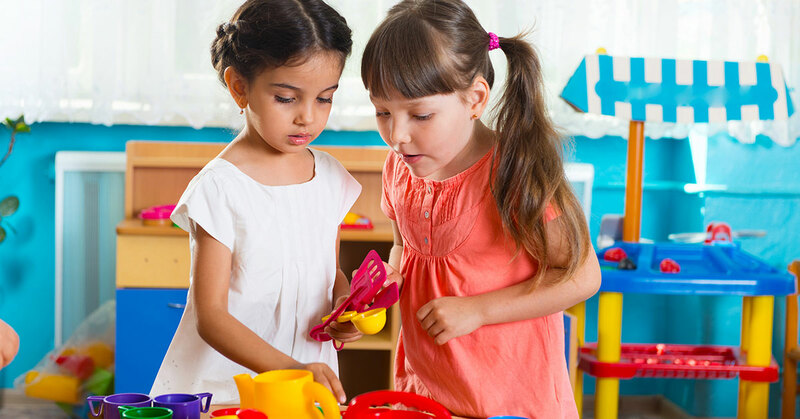 If they are playing with other children, they are also learning to cooperate and collaborate with other. Collaboration is one of the so-called soft skills that future generations will need to succeed in the workforce. 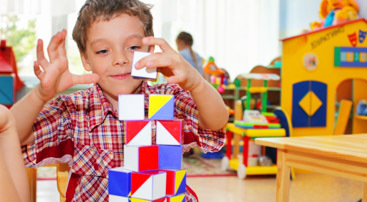 Other skills that can be developed by playing with blocks or other creative materials are prediction, such as when the tower will fall and emotional resilience to start over when it eventually falls. Playing outdoors is more than a chance for kids to burn off their boundless energy. Being in nature gives children the perfect opportunity to use all of their senses in the creation of their understanding of the world and how it works. When kids play outdoors they have a chance to employ different parts of the brains and to have first-hand encounters with nature. This can be as simple as watching a bug surmount an obstacle to witnessing weather events. Play gives children the chance to experiment with the world and their own identity, without knowing what they are doing, which implies a level of self-consciousness. Kids allow themselves to try out new interests and identities and play allows them to delve into any interest that grabs them. Skills they develop in learning about a childhood obsession, be it dinosaurs or bugs, are skills they can use to learn about anything in the future. The Creative Curriculum offers all this freedom, while also being structured and intentional. Intentionality in the hallmark of good teaching because it offers the maximum number of opportunities for teachers to make an impact on their students, even if that intentionality is creating the time and space for children to construct their own learning. It’s a balancing act and this curriculum maintains this balance expertly. Call us today and schedule a tour of our facility if this type of learning sounds like something your son or daughter would love.